BLUECOLLAR WORKING DOG IS THE VERY FIRST BRICK AND MORTAR RETAILER TO SPECIALIZE IN SUPPLIES FOR THE WORKING, SPORTING, AND ACTIVE DOG. 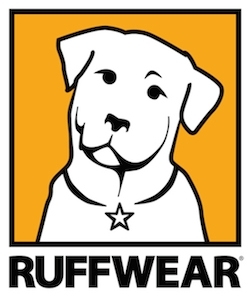 With unique specialty products ranging from K9 Police dog equipment, sport gear, service dog gear, to very specific training supplies and dog handler gear, BlueCollar is not your run-of-the-mill pet store. 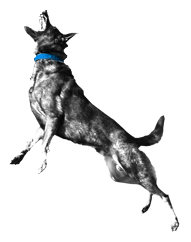 We carry the healthiest food and the most effective products you need to keep your ACTIVE dog healthy and happy. You wont see any hair bows, pooch purses or rhinestone charms here, but you will find 5 different kinds of backpacks, service dog equipment, a tree full of training tugs, weight vests and starter pistols! WE ONLY CARRY EFFECTIVE, QUALITY PRODUCTS AT REASONABLE PRICES. We don't care about pretty packaging or hype, we just stock items that PERFORM. Our staff has personally tested almost all of the products in the store and can answer any question about everything we carry. We offer 100% guarantee on our products. We feel that all dog supplies need to be effective and functional and if your ball, tracking harness or ear-wash doesn’t perform like it should, bring it back! DOGS LOVE TO LEARN AND ARE HAPPIEST WHEN GIVEN A JOB TO DO. At THE DOG YARD, We offer regular weekly obedience TRAINING classes and specialized workshops in tracking, training with tugs, nose-work, street obedience, pack leadership, aggression management and more. We also host specialized seminars with guest speakers on various dog related subjects such as health, nutrition, first aid, etc. Many of our trainers come from the competitive training arena and continue to study the newest training techniques and methods. Navigating the world of pet food choices can be a daunting task, entire books for the lay-person have been written on the subject of pet nutrition. In an over-simplified nutshell, one can assume that the more nutrition contained in a food, the more carefully the ingredients are sourced and the more stringent the manufacturing process, the higher the price will be. However, at BlueCollar, we endeavor to bring good nutrition to everyone. We have consulted with canine nutritionists to bring you the most nutritious pet food available for EVERY price point level. Whether you are paying $25 for 4lbs or 40lbs, at BlueCollar you can be confident that you are getting the most bang for your buck. We continually strive to make good health available to everyone by striking deals with our distributors, offering frequent buyer programs, clipping coupons for our customers, and constantly scouring the market. Let us know what you can afford and we will lay out some healthier options for you. 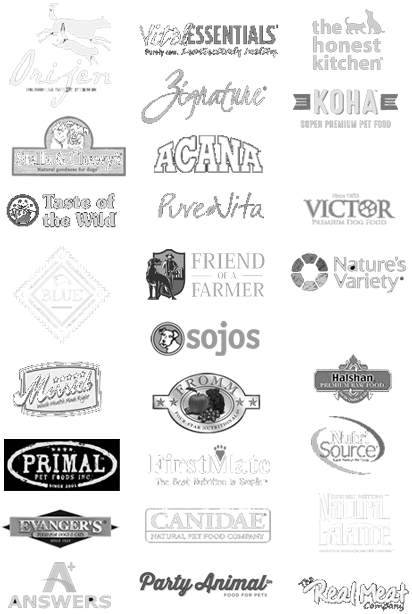 WE DO NOT carry any foods containing artificial colors, flavors or dangerous preservatives, soy, corn or unspecified "animal" ingredients. We also do not carry products that use marketing gimmicks to promote substandard foods at higher price points (i.e. breed specific diets, prescription diets, etc.) and we do not carry foods that have protein levels that are way too low to be regularly fed to a carnivore. Everyone should have access to nutritious pet food. However, in these tough economic times, we know it can be difficult to feed your pets. For our immediate community members we are offering a free two week supply of quality pet food to those who are experiencing temporary financial hardship. Our ability to offer food depends on our ability to purchase extra from our vendors. Sometimes we have it, sometimes we don't. If you, or someone you know, could benefit from our food bank program please stop into our store. We've been there and know how hard it is to ask for assitance and so, for the time being, this program is "no questions asked", no papers or ID is necessary. This program runs (and DEPENDS) on the honor system. We would like to thank all of our generous community members who have donated food to our program. We do NOT accept financial donations. Also, if you have dog or cat supplies to donate (food, towels, newspapers, blankets, shampoo, grooming tools, dishes, leashes, collars, TIME, ANYTHING.) the city shelters are totally STRAPPED. The last time we went to visit, they had NOTHING, not even enough towels to line the clinic cages, no leashes to walk the dogs......Please drop off all old pet supplies or towels and newspapers to the city shelters, the ones on the east side need it the most.